➻ Crocheting aboard a canal boat in peaceful surroundings on a sunny day and chatting with like-minded people. How fantastic is that? Sounds like bliss to us, which is why we’ll be making a beeline for Sophie Hale’s fantastic craft workshops this summer, which she runs from her narrowboat on the Kennet and Avon canal in Berkshire. With crochet, knitting and arm knitting on the menu, it’s a wonderful crafty escape for a couple of hours. Why not bring a newbie crocheting pal to one of her beginner workshops and make a lovely day out? 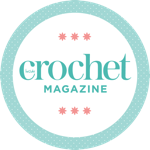 Keep an eye open for her fun pom-pom parties and mandalas and mocktails crochet socials too! Find Sophie at www.aboatfullofwool.co.uk or on Facebook at A Boat Full Of Wool.